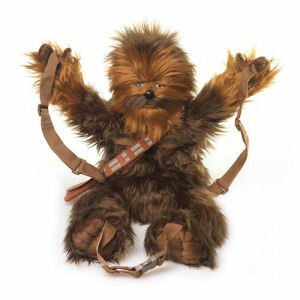 We have Just Sold out of Star Wars Chewbacca Back Buddy. This Item is unavailable at present. From the Star Wars collection by Comic Images. Star Wars Chewbacca Back Buddy. Let chewbacca carry your school books. Measures about 27 inches tall by 12 inches wide. Comic Images Star Wars Totes shipping from Canada. No Surprise Border fees or Customs!